I'm in the middle of writing several new pieces that aren't quite ready to publish. Yes, not one, not two, but three. 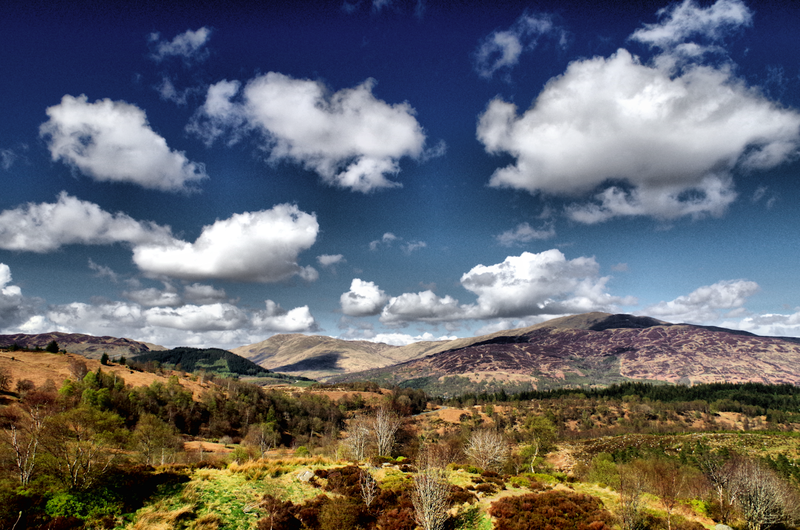 So, for now, I hope you'll enjoy joining me for a quick run-through of a weekend in Scotland. Beyond that, please be careful what you wish for. 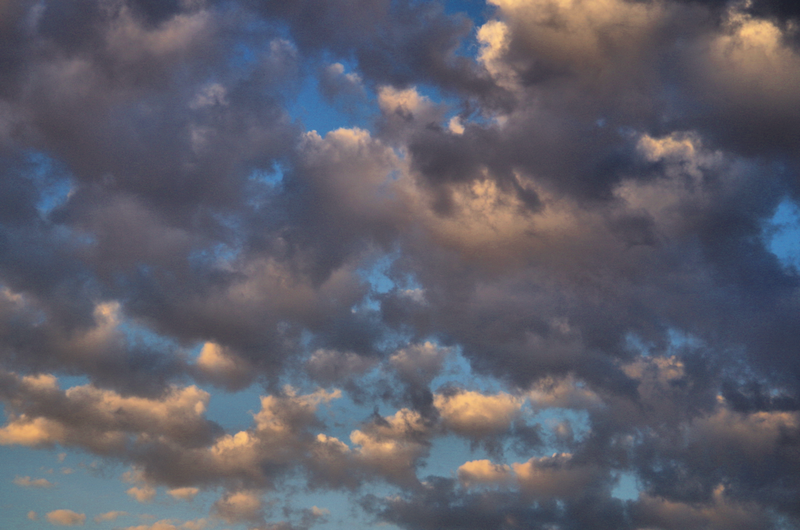 These are what the boffins in Edinburgh call clouds. 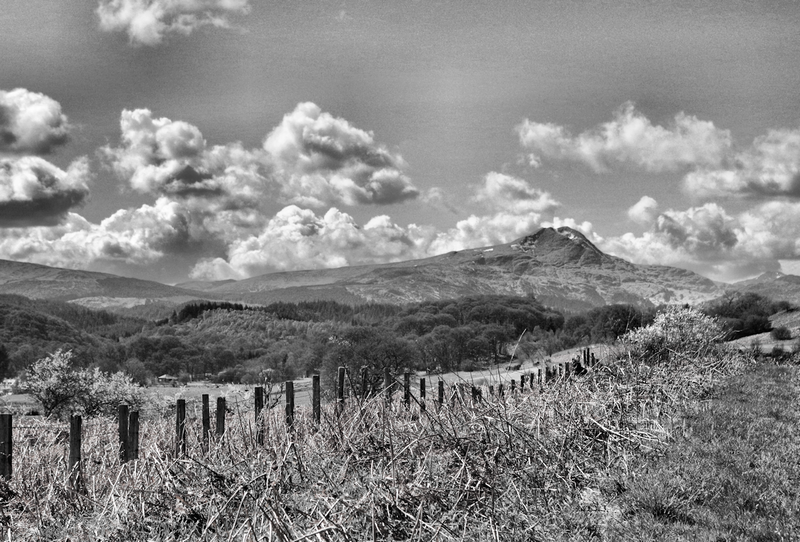 As I crossed the border into Scotland, this rugged expanse invited me to the side of the road and asked - quite politely may I say - to be photographed. I was happy to comply. 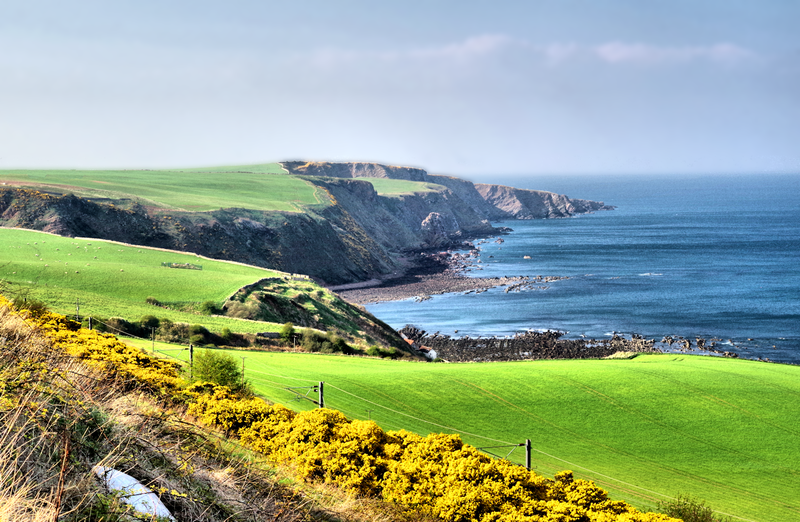 Blue sea in Scotland is a rare beast, as it is only possible under sunshine. It then rained a lot, which felt more usual. 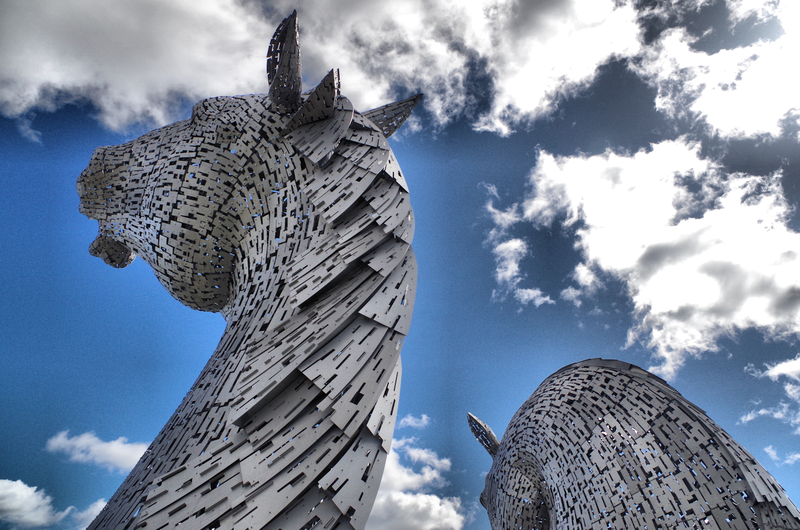 However, the following day we drove north to Falkirk, a upwardly mobile city that has recently become home to The Kelpies, a pair of magnificent statues. I knew nothing about these, but they were gobsmackingly gorgeous. But what is a Kelpie, Roth? I hear you ask. 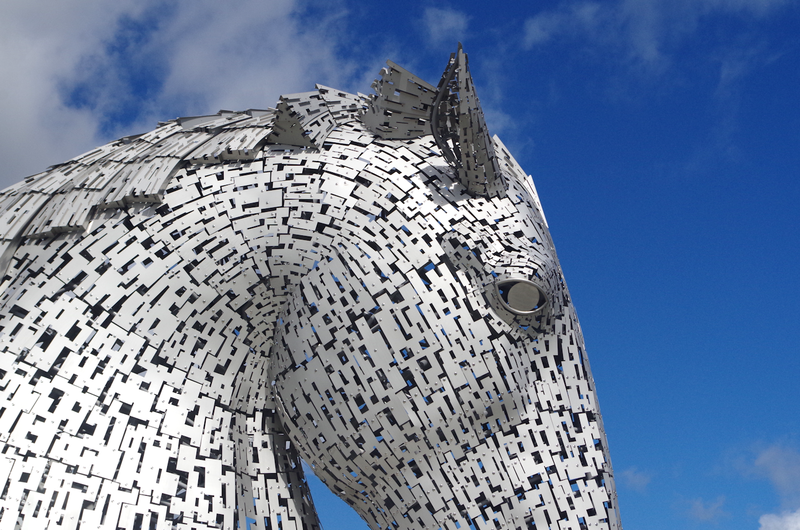 They're part of Scottish folklore, water spirits that take the form of horses. 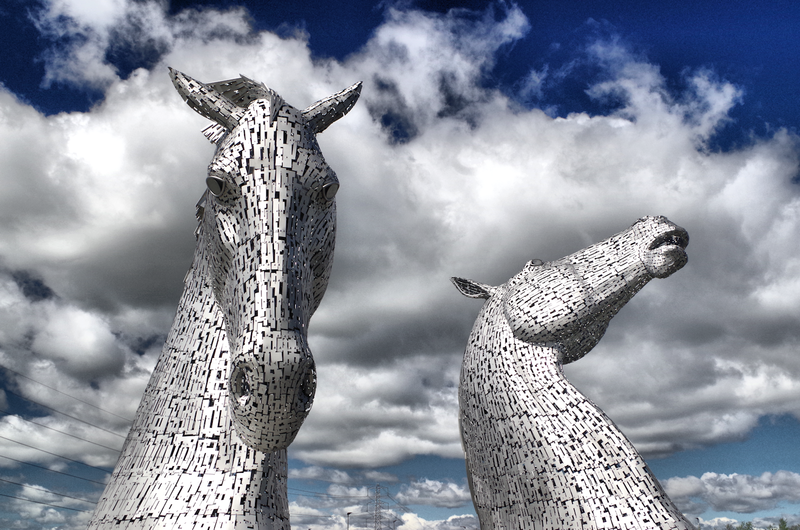 Traditionally, Kelpies are pretty unpleasant inhabitants of Scottish lochs, but these two lads (or ladies, perhaps) were quite charming. And, as you can see from the folk milling around their bases, pretty darned huge. Each statue is an empty shell, with a superstructure supporting an array of irregular metal plates. The photos don't do these justice, as the musculature and motion of the Kelpie is suggested magnificently as you move around them. Actually, now I come to look closer, the lad on the left looks pretty judgmental from some angles, verging on downright grumpy. But for his friend, the sky beckons the way to freedom. 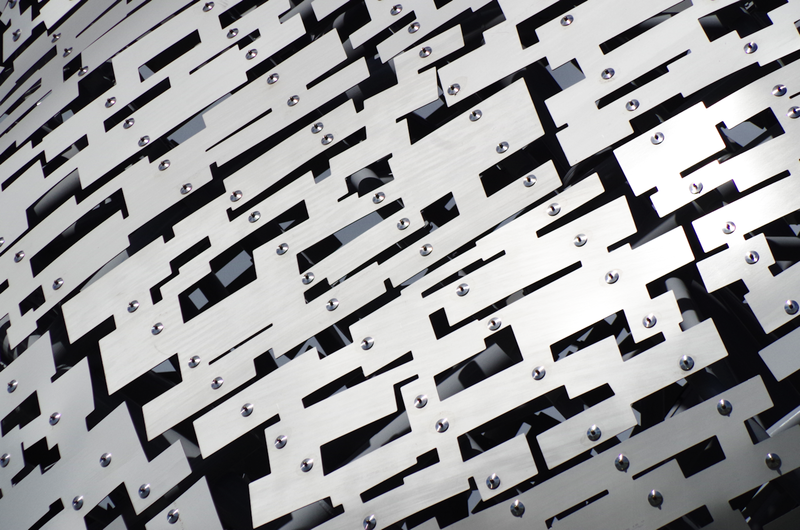 Close detail of the the irregular metal plates. These are currently a year old, clean and free of damage. How these survive over time will be interesting. And as someone with no head for heights, I'm glad I won't be cleaning them. Detail of the manes from the rear of the pair. Absolutely gorgeous design and execution are obvious from any angle, and well worth the long drive north to see them! Okay, that's enough of the mythical loch-horses. 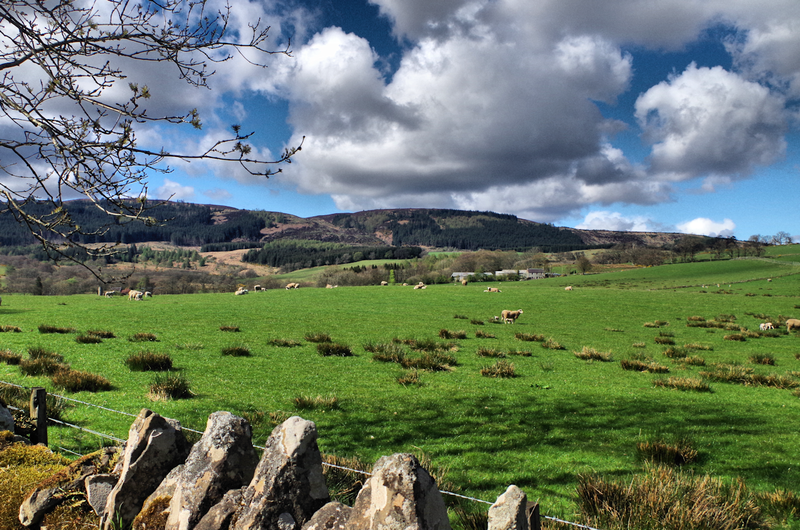 This is a random field on the way to Aberfoyle on the edge of The Trossachs National Park. The skies were kind to us. A wee mountain (with snow, if you looks closely) further along the same road, near a village called Ruskie. Nope, I'm not making this up. 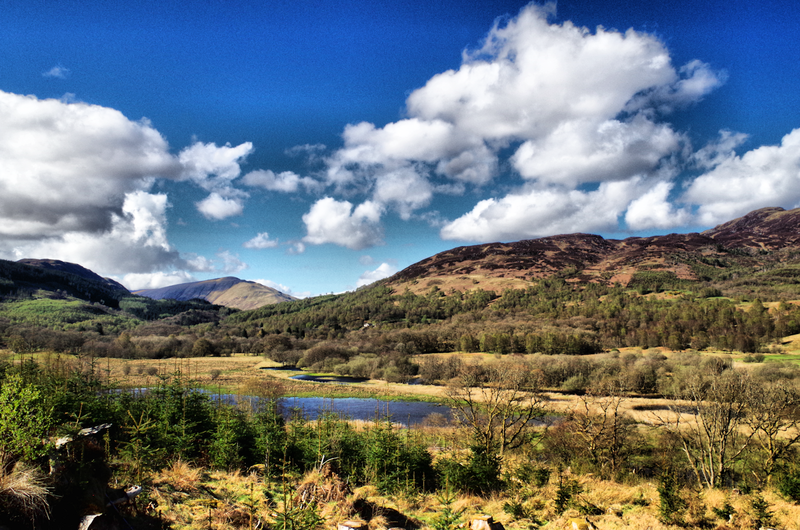 Deeper into the Trossachs, north of Aberfoyle, we randomly turned into a long loop that promised great views and a few lochs. It did not disappoint. Again, the weather held out, and made these beautiful long views possible. 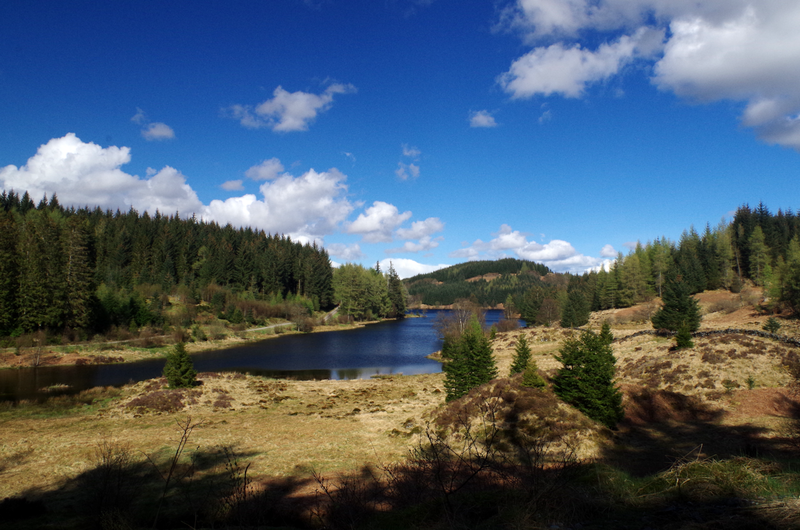 This is Loch Drunkie! There's nothing for miles in any direction. I suspect this is as close as I'll get to the Canadian wilderness without getting on an aeroplane. And this is Loch Achray. The locals were pretty laconic. 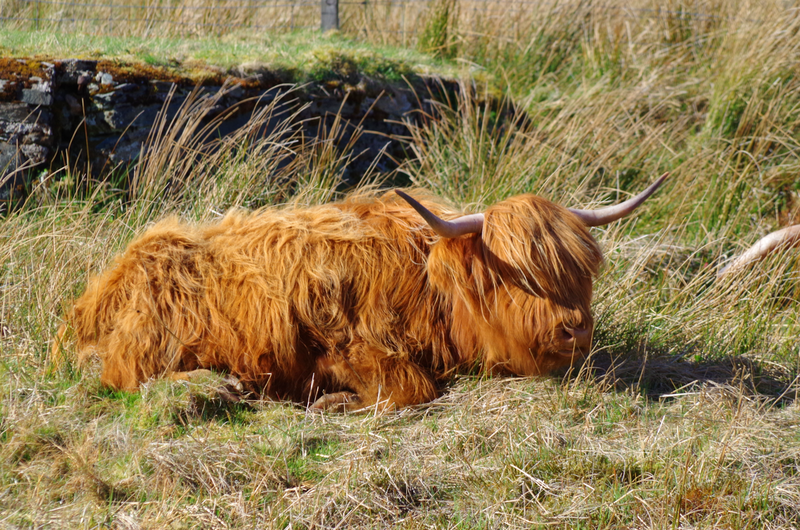 Here, a Scottish teenager sits and grumbles about how unfair his life is, and wonders why he was born with horns. 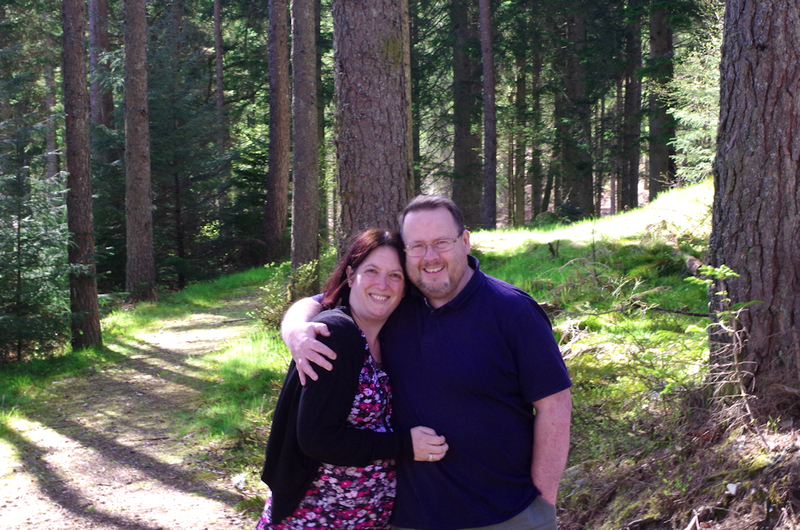 My hosts, Gabrielle and Alistair. Lovely, lovely people. Thank you! 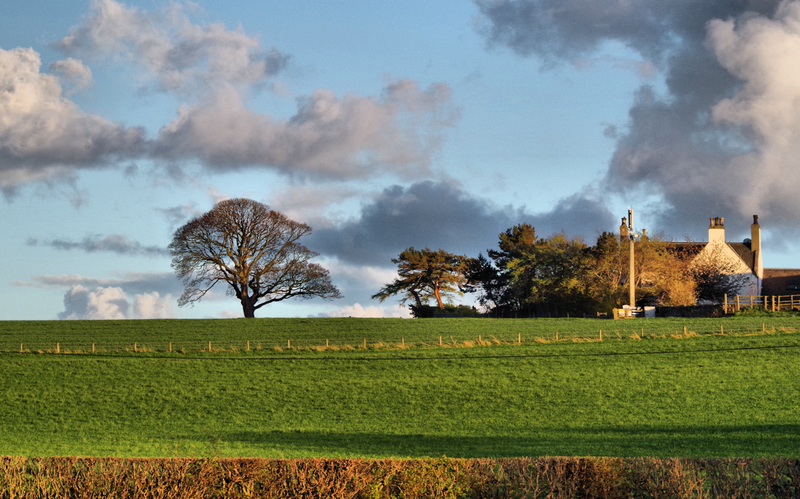 And this is the view from their beautiful home. I've posted pics of this before, but I loved the colours here. The sheep were indoors playing cards, I'm told. Most likely with badgers. 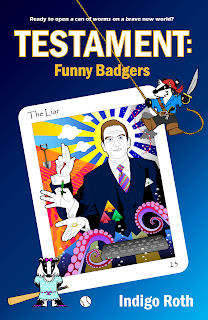 Are there badgers in Scotland? There are indeed. But, as they used to say on Tales of the Riverbank, that's another story. What a dream trip. Beautiful land and those horses! OMG! How I would love to see them in person. Unfortunately, you know, the airplane thing. Thank you for sharing these. I'm very jealous. OMG Tales of the Riverbank. My daughter never missed an episode of Hammy Hampster and GP the Guinea Pig. In spite of all the gorgeous scenery you have shared with us, the visual I am carrying away from this post is that of my daughter curled up on her Grandpa's lap watching Tales of the Riverbank. Funny you would mention Canadian wilderness. I kept thinking how similar the terrain you show is to my home province of Nova Scotia, and we aren't even considered a wilderness. 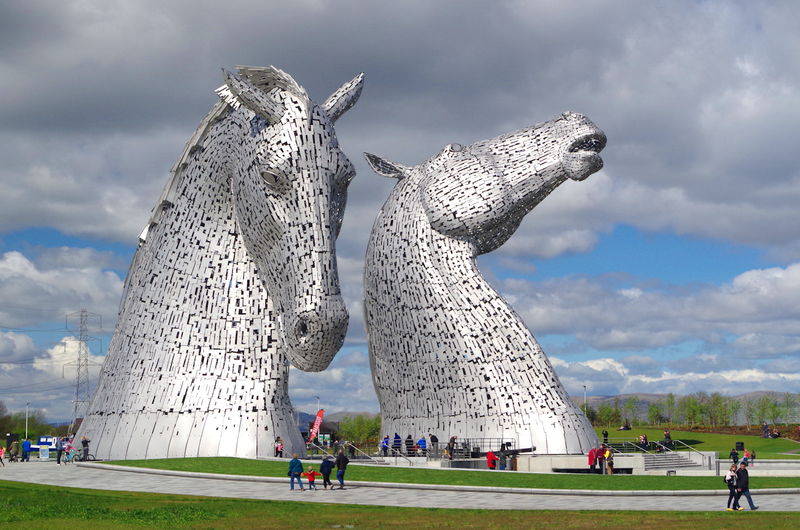 Beautiful statues, those Kelpies. Thanks for the photos. The teenager born with horns? Look at that guy and look at me and my hair. See any resemblance? You must have been thinking of me while you were there, I'm sure. But all joking aside, these photos are so stunning they need to be in a book or magazine. They are so gorgeous they don't even look REAL! I'd forgotten about Scottish Kelpies. Here in Australia, a kelpie is a working dog, used to round up sheep or cattle, most commonly sheep, cattle dogs are mostly blue heelers. I can share the ideas of the future as this is really what I was looking for.